Very pleased that I got the shoulder seams to match up perfectly. Finally finished sewing all the lining in. 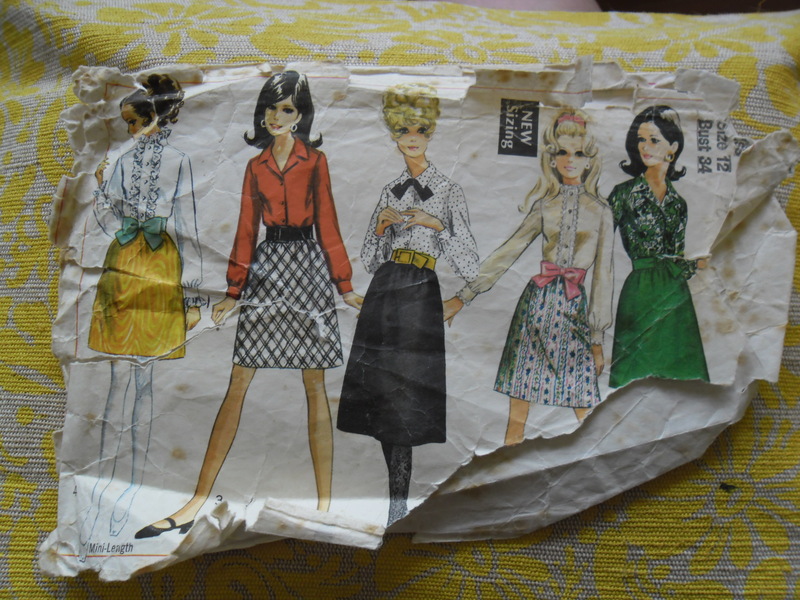 I saw this pattern and instantly liked it. It’s fitted, has a great shape and is a bit formal. 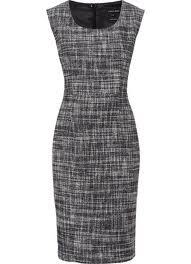 At first I thought it could be a work dress but looking closer it has two layers in the bodice which overlap. So it could be a bit cleavage-y. Oh well I’ll make it and we’ll see. The other day I found out that the sewing machine that I use is affectionately named the “Grasshopper”. It was my maternal grandmother’s and is still in perfect working order. 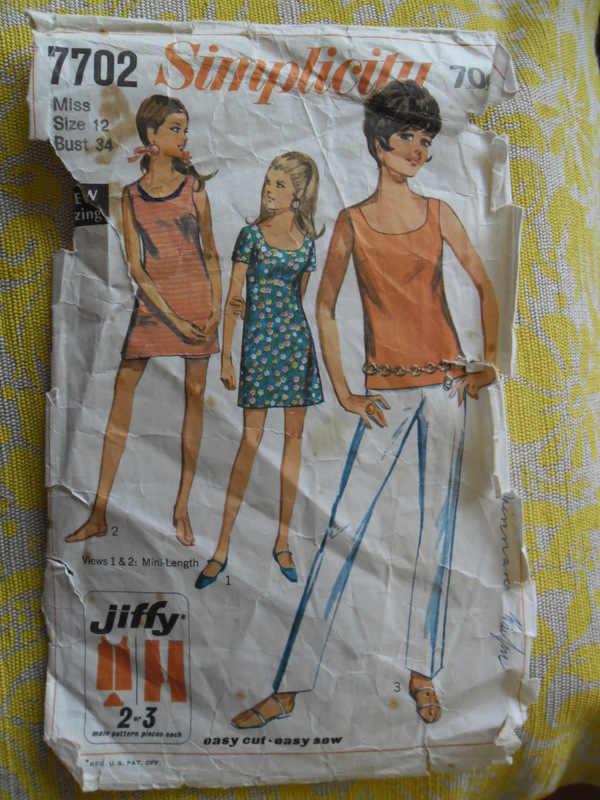 It only goes one way – no reverse, no zig-zag, no button holes and certainly no fancy embroidery mode. For the whole of my mother’s childhood it sat in her bedroom which was always called Mother’s Sewing Room. My grandmother died when I was eleven and I had never known her. When I told my grandad that I liked to sew he asked if I might like my grandmother’s sewing machine. He went to get it serviced and there was only one minor adjustment that needed to be made. It is all made of metal and weighs a tonne. It is green like the army and that is exactly what it reminds me of. It looks like something straight out of Soviet Russia. I’ve had it ever since and absolutely love it. This was my third dress this year. I thought I’d try something different and a bit more of a challenge. The first pattern I used was “very easy” and this was “easy”. 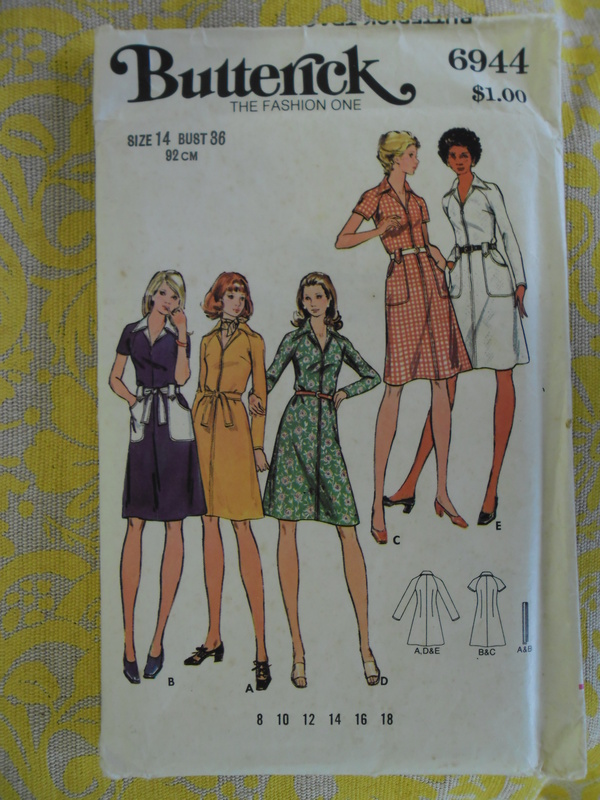 Although it was a lot more material than the other dresses I’d made the sales assistant at Centrepoint Fabric thought it wouldn’t be too hard. So I decided to go for it. The assistant was very helpful. She suggested I choose a wool crepe. This meant that unlike the model photo my dress turned out more flowy and less stiff. I really like the way that skirt and bodice turned out on my dress but was a little disappointed that the bow didn’t stand up as well as in the photo. I really like the way that this dress turned out to have lots of shape as well as being really comfortable and loose-fitting. On a side note I thought that if was going to take up sewing seriously then I should measure myself properly. I was surprised to realise that I was a 12 or 14 for bust and waist measurements. However I ended up taking in 2 cm on each side of the bodice waist, tapering off as I got to the arm hole and adjusting the skirt to side seams to match – so there! I wonder if anyone else has found vogue sizes to be quite ungenerous? I went to the beach a couple of weeks ago and stopped off at a Church Op-Shop on the way. All the patterns were 50c so I went a bit crazy. 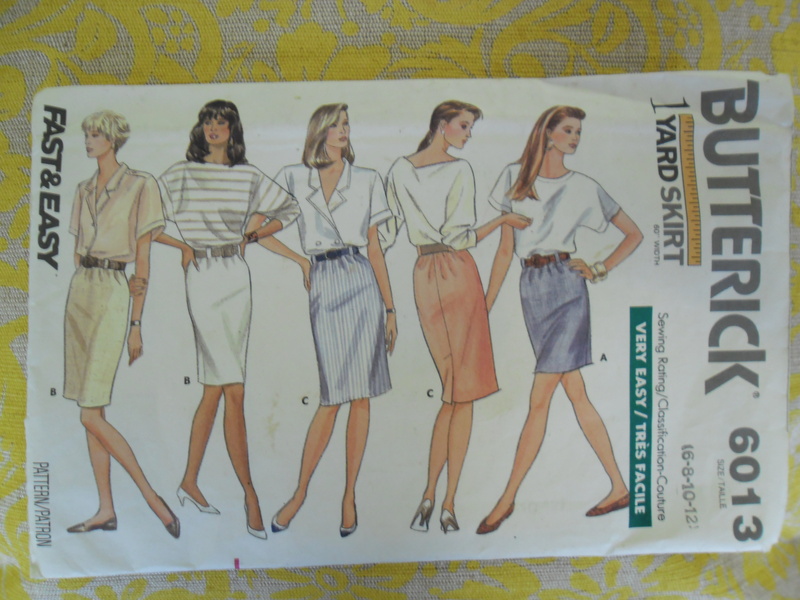 Butterick 6013 – I liked this one because it looked like a simple skirt that could be worn to work or casually. I’m not a big fan of elasticated waistbands buy if I wore it with a belt I think it’d look fine. Also it looks quite easy to make as it only has three pieces – ideal! 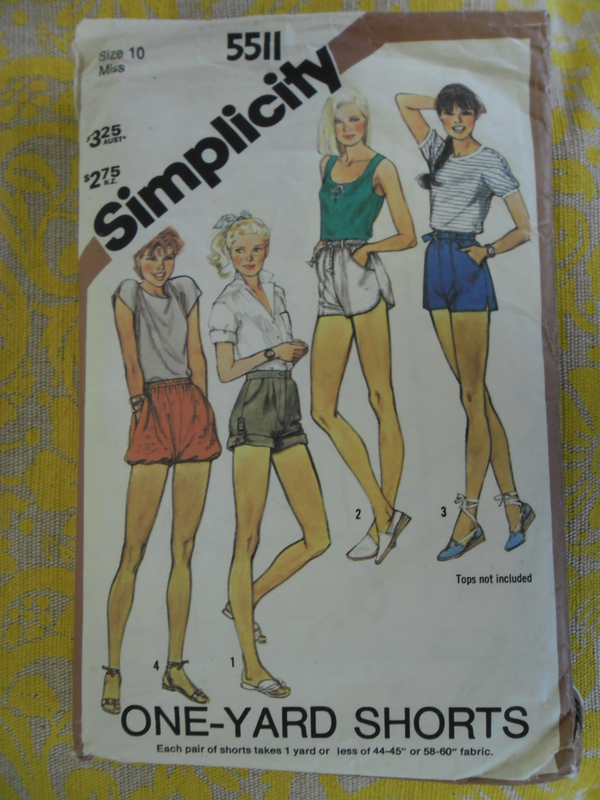 Simplicity 5511 – I thought these looked cute. I particularly like view 1 (kakhi) with the rolled up look. 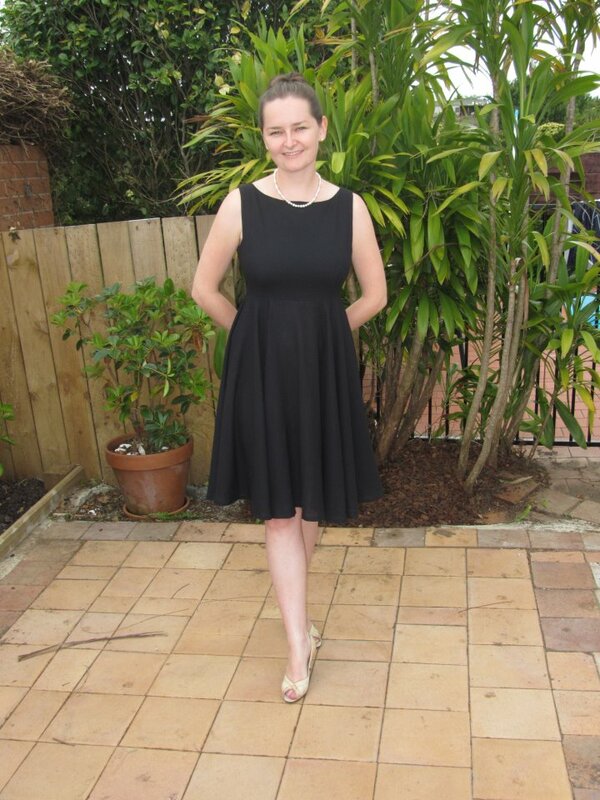 Butterick 6944 – I really liked this dress when I first saw it. I particularly liked view c (the red and white checkered one). However when I looked closer I saw that it has a zipper front. Not so sure about that. A friend suggested putting buttons down the front instead – not sure if my skill level is quite up to changing patterns yet! 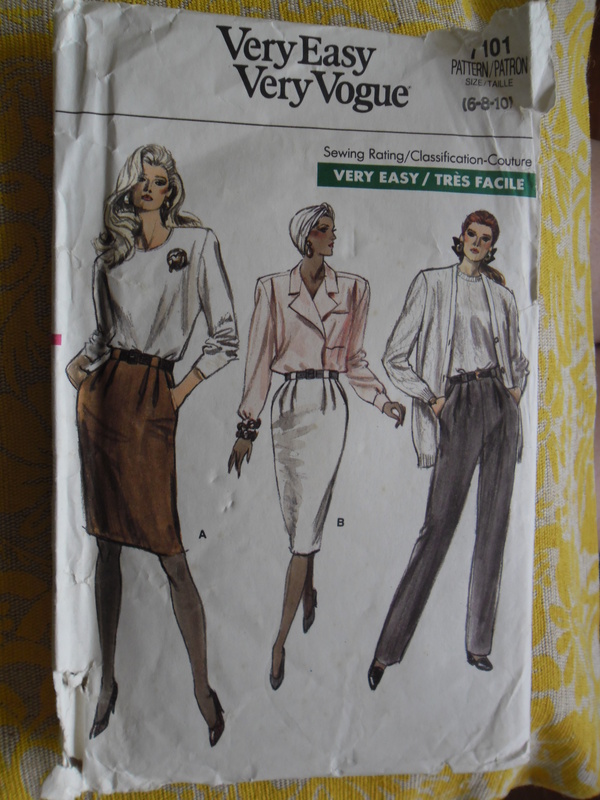 Vogue 7101 – This was such a find! When I opened this one up I discovered that it hadn’t been used before! 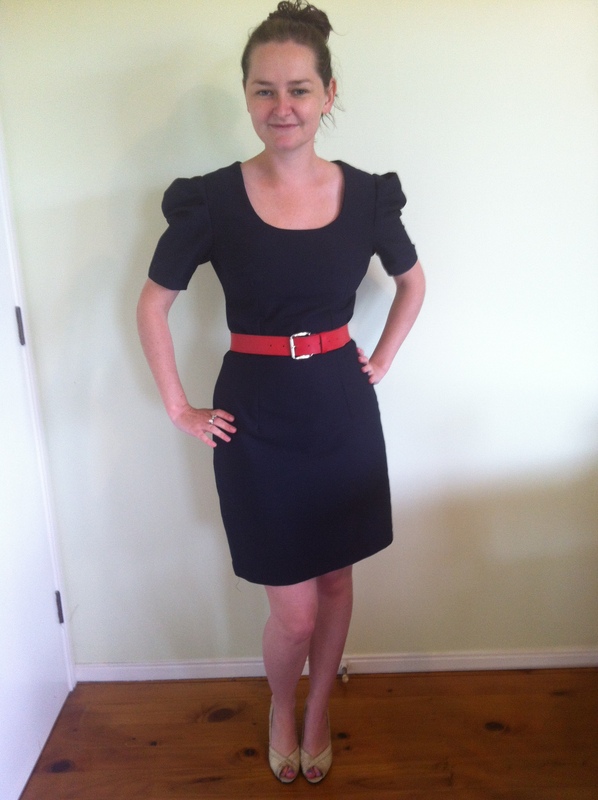 I’m quite looking forward to making view A (left) as I love the high waisted look and it has pockets – perfection! 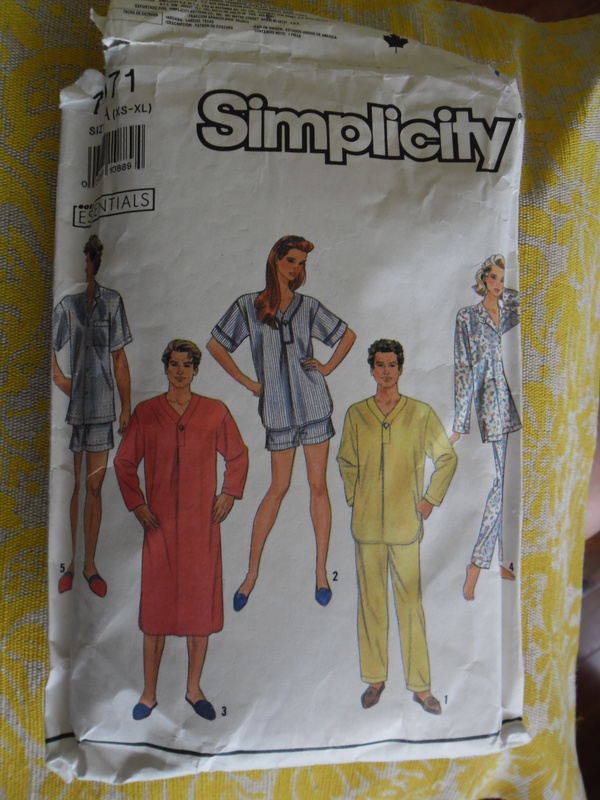 Simplicity 7071 – I know this one is a bit “out of the box” but at 50 c I thought why not? I thought I could make view 2 (middle) in some nice floral material or view 4 (far right) in flanel as birthday presents for my sisters. I’m really glad I took my sister’s advise and made a special effort to line up the pattern down the middle of the front! After a day when I had attempted to run in my Navy dress (and couldn’t!) 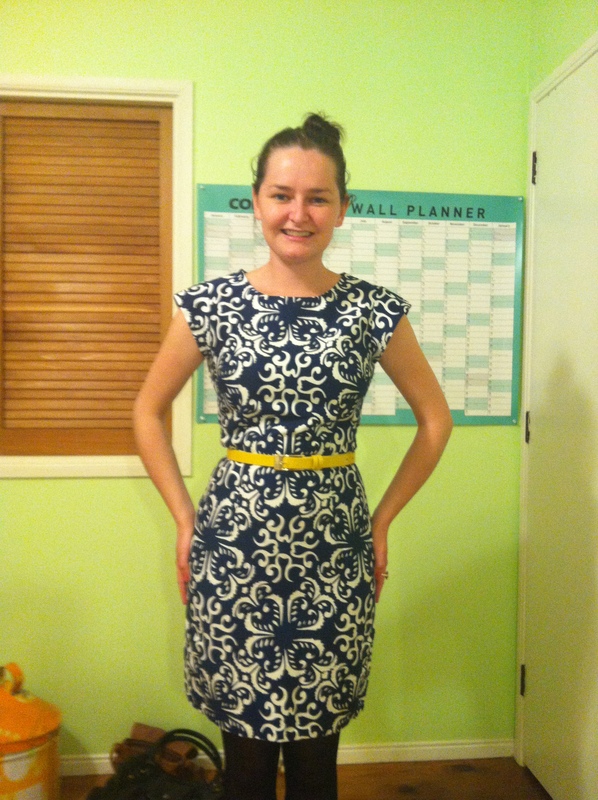 I decided to edit the pattern a little and not sew the back seam the whole way down. Instead I left about 10- 15 cm at the bottom which I reinforced. I found this much better as it was for more comfortable whilst keeping the shape of the skirt. Or perhaps I could do it in forest/ khaki green. It still summer here so lots of time to think about it. This was the first dress that I made this year. I made a couple of dresses years ago (including a disasterous attempt at making my older sister’s 6th form ball dress) and have decided to take it up again. I made it in a 10 but it was a bit tight across my hips. I think next time I’ll have a go at combining sizes and keep the 10 for the top half and a 12 at the waist/ hips. Need to work out how to do that first though! Any tips welcome. 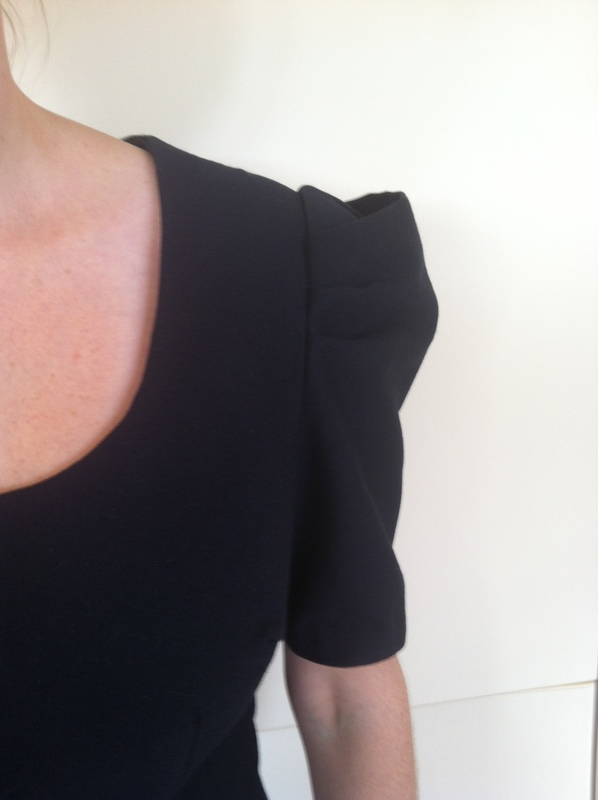 I love the pleated shoulder seams on this dress. 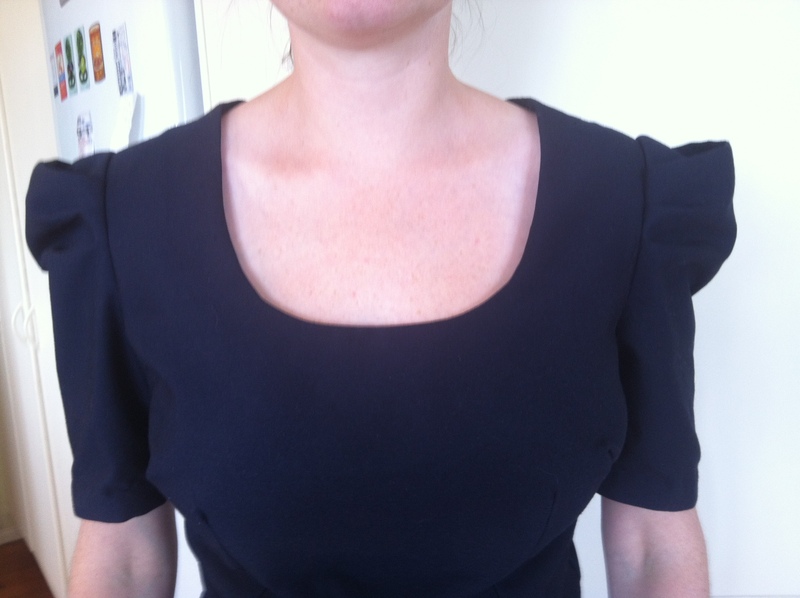 I like a scooped neckline, they are flattering on anyone. All in all I was very pleased with my first piece of sewing this year! Credits: Thank you Charlotte for taking the photos!